With drier days and warmer weather, many Thurston County residents will be dusting off their trainers and heading out to get some cardio. However, with an increase of activity comes the potential for injury. But don’t let that keep you inside! Dr. Jennifer Penrose of Penrose & Associates Physical Therapy breaks down the three most common running and walking injuries and how to combat them. Penrose says the three most common running and walking injuries are knee pain, lower leg tendonitis, and IT (iliotibial) band syndrome. Most of the time the causes to these injuries are multifactorial. “Knee pain, usually patellofemoral syndrome, is from one or several causes: hip weakness, tight muscles attaching around the knee, structure of flat feet or knock kneed, or over-striding while walking or running,” says Penrose. At Penrose & Associates, patients with knee pain are assessed to see what the strength and flexibility of their leg muscles are for hips, knees and lower leg. Then a physical therapist assesses posture and alignment to see what structurally might need some assistance via a different shoe or insert. Penrose says shoes and inserts are inspected during the visit because sometimes patients have inserts that don’t fit their foot type, have too rigid of an insert or a device that isn’t doing enough. Additionally, with all the changes in running shoes, patients may try the latest “zero drop” shoe to be closer to the ground. However, it should be noted that Penrose’s clinic has seen a huge increase in plantar fasciitis and Achilles tendon problems when someone changes from a 12mm drop to a 0mm drop, or even in a change of 6mm. This is even more problematic if the individual is tighter and less flexible in general. 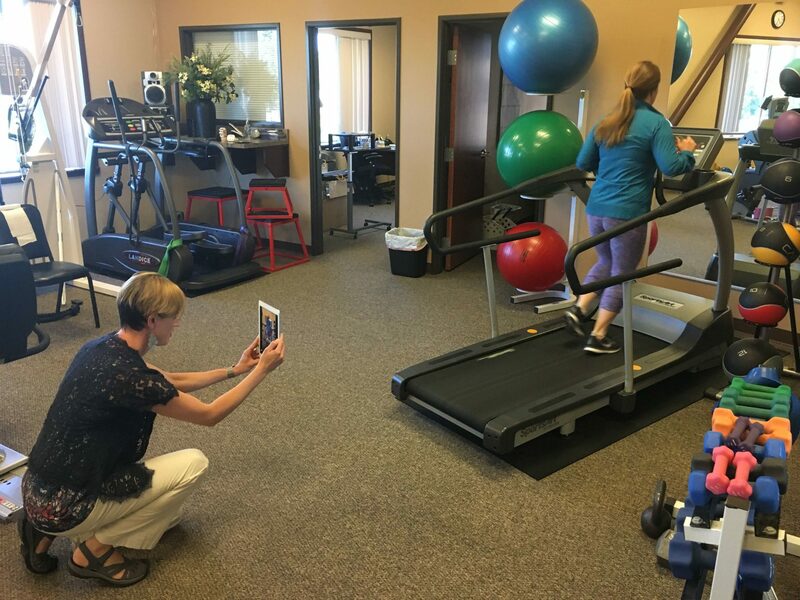 Lastly, Penrose and her team videotape patients on the treadmill to observe their walking and running form. The video is then played back in slow motion to reveal where the true problem is and what possible solutions might be. 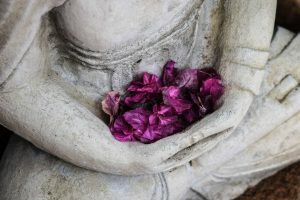 “The video playback is where patients truly understand if their issue lies in their shoes or inserts or whether their form is the main issue causing them pain and what we can do to fix the problem,” Penrose says. Penrose swears by slow motion video analysis and says if you’ve tried physical therapy before and it failed it’s because you didn’t have a slow motion analysis done of you walking or running to allow your doctor to get to the source of the problem. She says often times a foot or pain problem is being caused from where and how the foot is striking the ground when it lands. Sometimes a lower leg problem develops from the lack of stability of the hips from above and the wrong placement of the foot striking the ground. 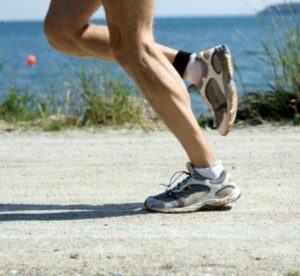 The second major cause of running and walking injuries is lower leg tendonitis, (also known as shin splints or achilles tendonitis) and is due to two main reasons: the structure of the foot (high arches or no arches), and poor gait mechanics/form. Penrose says poor gait mechanics also require a slow motion video analysis to reveal what is causing too much stress at the tendon and to show the individual what needs to change. When it comes to foot structure, a foot type that is either too rigid or too stiff or one that is extremely flat needs different approaches. The third most common injury for walkers and runners has to do with something called IT band syndrome (ITBS). Penrose says this is usually due to tight hip flexors and weak hip abductors (ABD) and will show up on slow motion video analysis in a couple of ways. The hip and pelvis will often drop or the hips will sway from side to side too much due to the lack of stability, or sometimes the knee will dive inwards too much and almost touch the other knee. A “Tigger” type bounce run or walk (lots of motion up and down) is almost always due to tight hip flexors. Even though some might immediately turn to a foam roller to release the IT band, Penrose says this may not always help because of the thickness of the IT band tissue. “You can foam roll it to help the myofascial system move a little better, but the true reason people develop IT band syndrome has more to do with their tight hip flexors, weak hip ABD and their running or walking form/mechanics,” she says. It turns out body structure may also play a significant role, meaning that someone with a wider pelvis and flat feet might have a stronger risk of developing IT band syndrome. 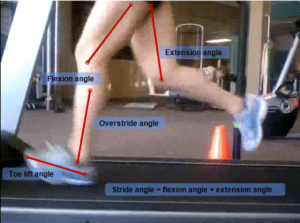 As can be seen, the important takeaway here is that running and walking requires slow motion video analysis to truly solve this mechanical problem, and Penrose and her team of professionals enjoy using this method to truly help patients with the mechanical problems that come up with walking and running. Next articleDo you Want to be a Part of the Lacey South Sound Chamber’s South Sound BBQ Festival?